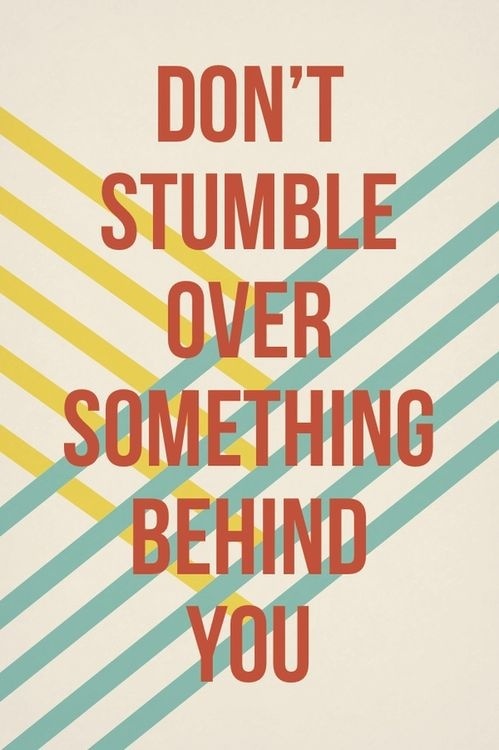 Monday Motivation: Don’t Stumble Over Something Behind You | Fit Girl. Happy Girl. Sometimes, the past has a way of creeping up into the present. Unfortunately for me, this happens more often than I would like. I have gotten better at not letting the past impact my present or the future but it always helps to have a little reminder. I have big dreams and goals for the future and I can’t let something (or someone) in the past cripple my future. I’m moving fast and I have no time to stumble.